How to be an “étoile”… both in the Arts and in one’s life. She has a career glittered with prestigious awards, from the David of Donatello to the Golden Caravel, to the Italian Superstars award from New York. She is the foreign ballerina with the highest number of performances in the USSR. She has been celebrated as the étoile of La Scala Theatre in Milan since 1968, and at the age of 23 she was already at the Moskow’s Bolshoi, as prima ballerina in the classic ballets: Swan Lake, Romeo and Juliet, The Nutcracker, Sleeping Beauty and Don Quixote, to name just a few. However, at the top of her career, in 1977, she decided to stop. To stop in order to cultivate. 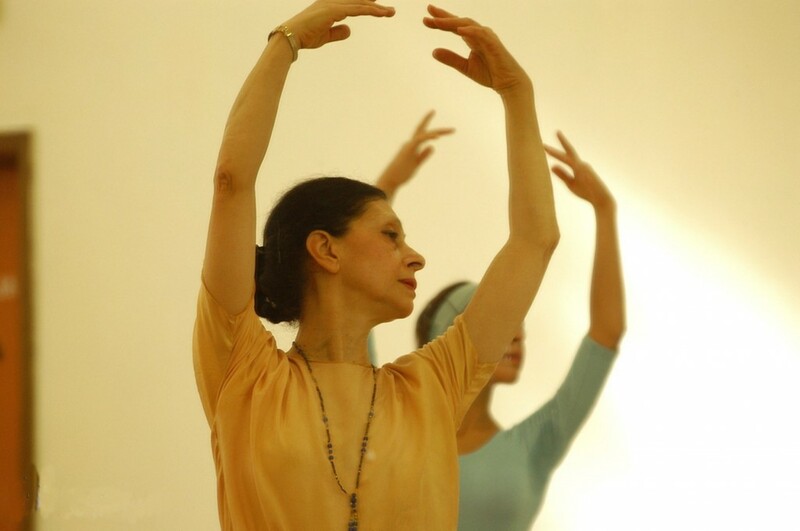 Together with Marinel Stefanescu, she founded the “Associazione Balletto Classico” in order that the new choreographic style they created might flourish. The motivation of their repertoire, and troupe, which now has performed thousands of shows, has been “To satisfy the thirst of beauty that the world feels”. She continued performing until the year 2000, illuminating the stage with the new language of ballet, which she was also teaching at the professional level. And in 2006 she published her autobiography, “Étoile: My Life With God” in which she revealed to the public the back stage of her artist’s soul. Moral Wings was in awe of her story and we have contacted her in order to understand the secret of her success and her perspective of Art. Mrs. Liliana, thank you for your precious availability! Would you kindly tell us how you decided to embark upon an artistic career? The artistic career cannot be your own decision, it is primarily a vocation that you feel inside… as something that fits with your personality, and at the same time, just as any vocation, it must be confirmed by your teachers. In absence of such confirmation, it can hardly turn out to be a true artistic vocation. But if the confirmation is there, you can decide to dedicate yourself to it with all your heart». What is in your opinion, the role of an artist in society? fashionable. To irradiate light and evoke the desire for harmony. That is in my opinion, the ideal every artist should aspire to! I remember a lady, my teacher in Moscow, who told me that Stanislavski – the greatest master of the Russian theatre – used to quote that, “art should inspire the man’s spirit”. That is not a small thing! This is what the artist is supposed to do with his works: “inspire the man’s spirit”. Many great artists who left their mark in history did that, and we enjoy that even today. That should still be our goal today: to uplift, to provoke a smile, to demonstrate beauty and to infuse hope…. in some way like a flower or like springtime. It is a miracle, beauty, hope, that’s art…but perhaps we do not think about that so frequently». You are talking about an almost mystical experience…. «I am more and more convinced that every artist of every time and place has a soul which is very close to God, whether they know it or not. The so-called moment of grace, of inspiration, every artist has it…. that moment when they experience a special kind of transportation…it is a real experience!». In your very long career did you ever think about giving up everything? «Difficult moments have been there since my childhood…. exertion, the aching feet, the envy of colleagues; other times the sense of discouragement, of feeling unfit for the task; or being confronted with situations that seemed to be far from reach, and much more. But I had a reference point which helped me to overcome any obstacle: the awareness that being a ballerina was not a personal ambition for me, but exactly what I had to do: to me it was like the plan of God for my life that was coming true. Probably, I was really born to dance. He had given me those talents, and I was supposed to realize them to the best of my ability: that kind of clarity is most important. If you have such an awareness, you are strong enough to overcome everything…. exactly as our “Leader” did, He who was hanging on the cross and seemed to have failed his earthly mission, but soon after He arose again». «It is like that for every one of us, we should not fear the bitterness, the unjust judgment, the discomfort, and the betrayal. Somebody experienced them before us, and then He arose again…. Everything is useful to help us grow and mature. In art as well as in our life one grows more through the pain than in the good times. I say that because I have experienced it first hand. Unfortunately, when everything goes well it’s easy to “slack”, and doing that you loose the competitive edge; on the contrary, when you are in difficulty you tend to instinctively do something to get over them, hence you work more, you look for something new, so you move ahead and grow. It is a continuous experience, and it is always new». Our generation today is not accustomed to hear such advice. The prevailing outlook is “I want everything, and right now”. «In the field of dance you ought to make an effort, there is no need to philosophize. You have to work. And you realize that, as you go forward, on your own. In our school we do not focus on that, but, very practically, through their work, our boys and girls realize for themselves if they are going forward or backward». Is this your teaching method? «Look, I am firmly convinced that the one who does not go forward, goes backward, and if you don’t decide every day to improve, after one week you won’t be at the starting point, but rather you will find you’re behind, and quite far! What would you suggest to the youngsters who whish to embark on an artistic career? «Read the life of some great artist to discover the difficulties, the challenges of the work, the continuous tension in order to give the best of yourself. Read how they see the steady dedication to their passion…. a commitment which is not “imposed” or which is burdensome, since an artist loves his art and the working hours don’t weigh on him. Other people might call it sacrifice. But not the genuine artist… he has the “vocation”! He is not scheming! Once such an attitude is there, the career will come as a consequence. But the target must be the art and the steady improvement». Are you talking about your experience? «Yes, it happened exactly like that for me. The career was not my objective but then…it came! During my studies in Moscow at the Bolshoi theatre my colleagues kept saying to me that if I continued to stay away from Italy for such a long time, the others would surpass me. To me it was more important to grow in my art…I was not content with half stepping. All or nothing. In art you must always aim high. And the young generations like it». Artist: is a matter of birth, or do you become it? «I remember that one day, before my debut in “Swan lake”, a Russian lady, my teacher, told me: “Now you forget all that I have told you and dance with your Italian Soul”. She expected that from me. It was not easy to get rid of all the “rules” of the technical and artistic teachings –which were indispensable to a youngster – and forget everything in order to express my soul. It takes years, but the roots of art are there. That is why somehow you are born an artist, but mostly, you become it: it takes a lot of experience and an entire lifetime». What motivated you to write your book “Étoile”? «I felt it was a duty to tell the public that loved me on the stage what moved me to dance for such a long time, what kind of “ambition” was pushing me. So I sat in front of my computer and I started to recall and to tell the most unpublished aspects, the backstage…and eventually, I felt a little scared, like I was naked, but the work was already done». Italy has always distinguished itself as an ambassador in the world of Art, Creativity and Beauty. What do our artists need to carry on such a magnificent tradition? «Art is a mystery: it is even difficult to say what it is and what is not. It is easier to understand it “a posteriori” or in ‘hind sight’… and just for that reason an artist cannot seek the immediate success, he must not look just for the easy money. The artist, although fronted with the daily problems of life, must search for the true inspiration within himself, even through loneliness, and create or interpret according to his inner vision, no matter if it’s fashionable or not. The true artist, who draws on his soul with professionalism, not compromising it, will always be fashionable, since he will be able to speak to the others’ soul too. We all have a common denominator which makes us alike in something, whatever is our race or environment, and an artist’s sensibility is able to catch exactly those notes, those strings which sound in each of us. Sometimes it’s a risk, a mystery, but it’s like that. A definition of art which seems most exhaustive to me says: “Art is being able to instill in a painting, a sculpture, in a piece of architecture, in music…. that something that does not die in our souls.”. It is by Chiara Lubich». What is the meaning of “fashionable” in your opinion? «We are all fashionable. I am fashionable. You are fashionable. We are so since we are here today, we live. After a hundred years we will not be here any more, and we will cease being fashionable. Now is our moment to make our voice heard. Let’s influence the people around us today with our talents, our values, our affection…we can decide what is fashion! Let’s do it!». Thanks Mrs. Liliana for your being of example.